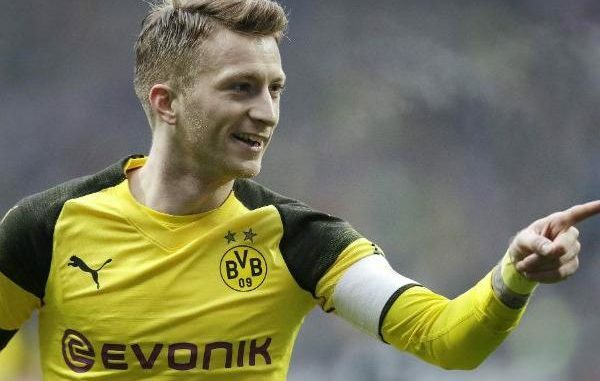 Borussia Dortmund are enjoying one of their best seasons in recent memory, and morale is sky high at the moment. Lucien Favre’s side are at the top of the table, and have only tasted one league defeat so far this season. The story has been quite similar in the Champions League so far, as the Black and Yellows’ only defeat came away to Atletico Madrid. While their 4-0 hammering of the Spanish giants in the group stage will long be remembered as one of the greatest CL nights in the club’s history. Borussia Dortmund kept five clean sheets in the group stage, although they are set to be without key defender Manuel Akanji for the Tottenham tie. Dan Axel Zagadou is also a doubt for the first leg, as is captain and talisman Marco Reus. New signing Leonardo Balerdi suffered a mouth injury on international duty and will not feature either. Borussia Dortmund have a youthful squad with some of Europe’s most talented players in their ranks. But no one will be looking forward to the game more than Englishman Jadon Sancho. The 18 year old has enjoyed a meteoric rise since joining Borussia Dortmund and will be hoping to make his mark in his home country. It remains to be seen whether he will get the nod to start though, as Lucien Favre has rotated his wingers for Bundesliga games and other competitions. So Christian Pulisic, another man with a big point to prove ahead of his summer move to Chelsea, could start in his stead. With Marco Reus a doubt for the first leg, Axel Witsel will be Borussia Dortmund’s most important player. The Belgian has hardly put a foot wrong since moving to the club in the summer. Witsel has absolutely transformed Dortmund’s midfield with his calmness, awareness, experience and leadership. Witsel makes Borussia Dortmund tick, and he will be determined to boss the midfield against Spurs and lead Borussia Dortmund to the quarterfinals. Borussia Dortmund start as slight favorites but their mounting injury problems could play the tie into Spurs’ hands. If Marco Reus plays, he can certainly carry Dortmund into the next round. But if he doesn’t, the likes of Jadon Sancho, Raphael Guerreiro and Paco Alcacer will have to step up. Winning the Bundesliga title is higher up Dortmund’s priority list, but they will still want to make a deep run in the Champions League. And if they can defend well at the Wembley stadium, they have plenty of ammunition to hurt Tottenham on the counter attack.